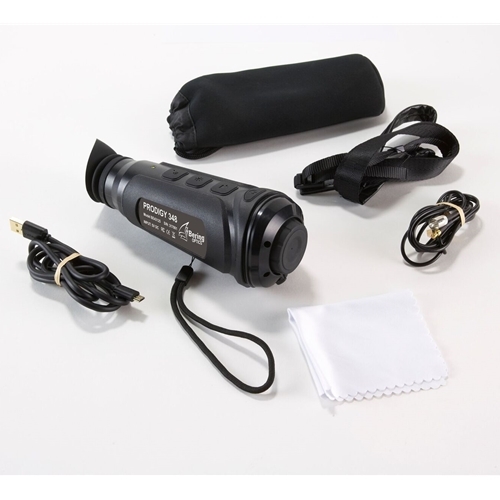 The Bering Optics PRODIGY Series Thermal Monoculars are compact and lightweight thermal viewing device designed with the user comfort in mind. 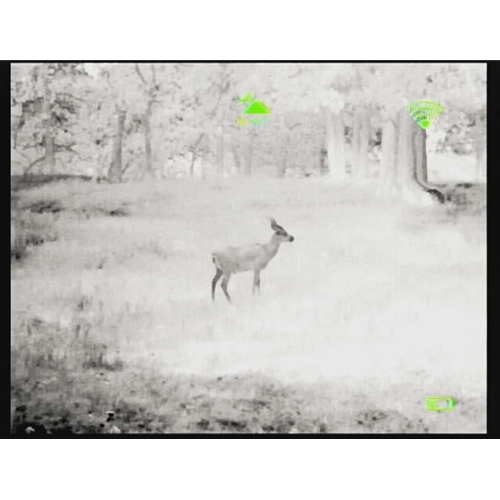 The device main functions: ON/OFF/standby mode, zoom, brightness and image polarity adjustments, are easy to operate by just engaging the four control buttons. The PRODIGY Series models differ by a lens size ranging from 13mm offered in PRODIGY Mini to 35mm featured in PRODIGY PRO. The competitively priced PRODIGY Mini and PRODIGY-X come with the same great features as other models in the series except Wi-Fi connectivity. 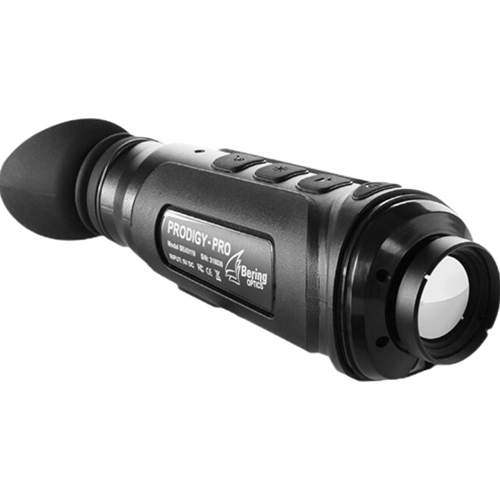 PRODIGY 348 is a well-rounded monocular suitable for most functions while PRODIGY PRO comes with the bigger 35mm lens and 2.0x magnification to suit more demanding users. 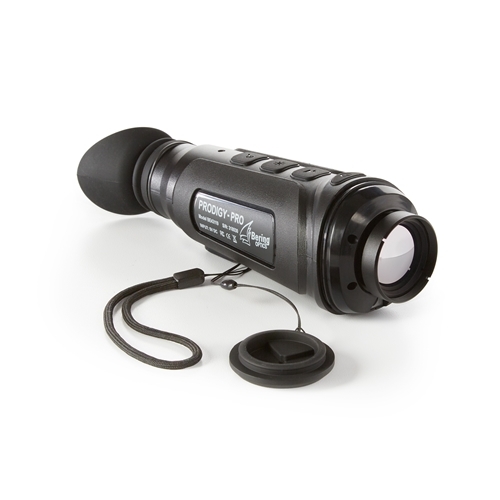 The Bering Optics PRODIGY 348 1.0x25 Thermal Monocular features A-Si type sensor with an automatic shutter and the Germanium 25mm Lens. 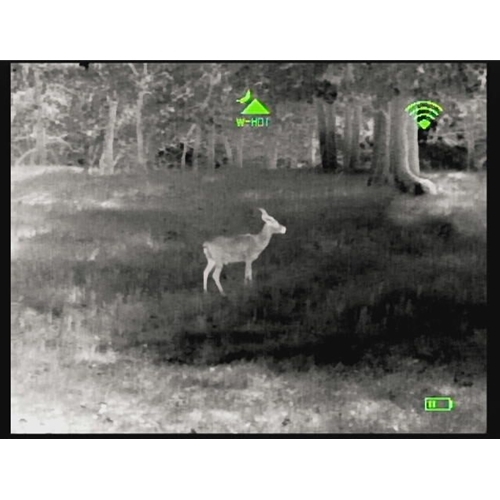 PRODIGY 348 is able to detect the heat of viewed objects at a distance of up to 940 yards away in any terrain, twilight and night time conditions. 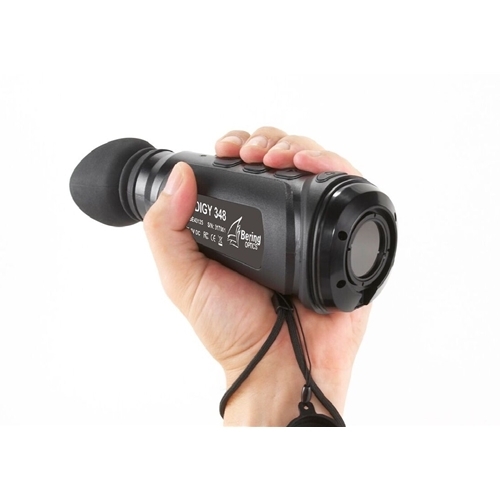 The device has a digital zoom of 2.0x, 3.0x, 4.0x and switchable image polarity modes. PRODIGY 348 is Wi-Fi capable to enable the user to record videos and snap photos using the mobile device by simply activating the preinstalled app.